The goal of the first script "OWLfromUML.xsl" was to maintain every modelled data. The generated OWL ontology should reflect everything of the class diagram. Therefore every UML element must be transformed. Fig. 1 represents this thougt. The orange part stands for the transformation. 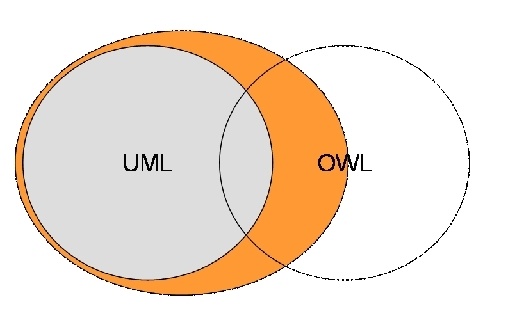 The goal of the second script "OWLwithUML.xsl" was to modell every OWL concept with the help of UML elements. 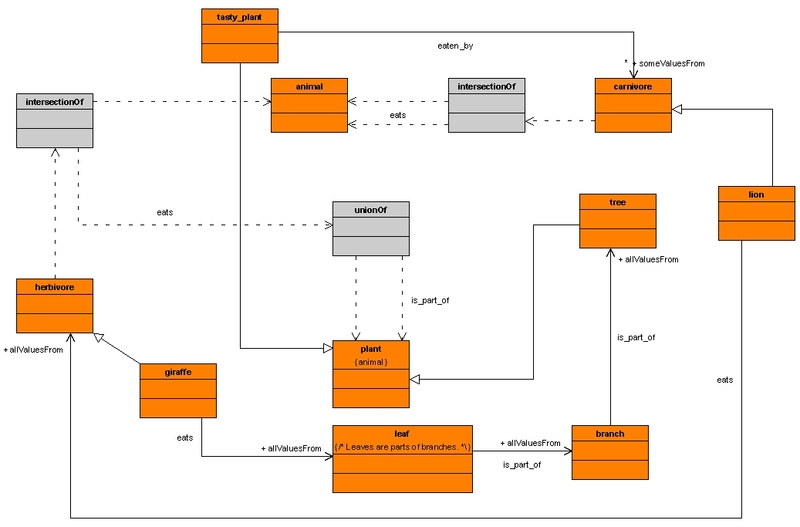 Ontologies should be modelled UML-based. Therefore only the UML elements must be transformed, which are n neccessary to modell an ontology. Fig. 2 represents this thought. The orange part stands for the transformation. An example ontology was given in Antoniou/van Harmelen (2004) about african wildlife. 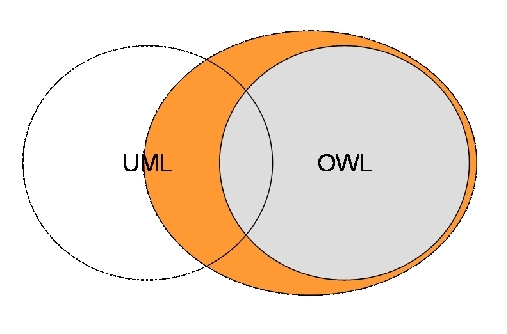 With the developed UML profile (UFO-Profile = UML for OWL profile) it is possible to modell exactly this ontology. Fig. 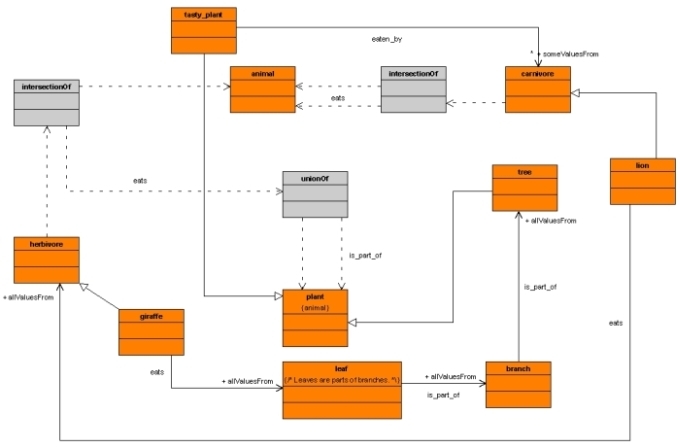 3 shows how this ontology looks like in UML. To transform this UML model into a valid OWL DL ontology, one has to run the script "OWLwithUML.xsl". The generated ontology will look like this. G. Antoniou and F. van Harmelen (2004) A semantic Web Primer The MIT Press.